Posted in Bright Ideas / Blog on October 22, 2018. 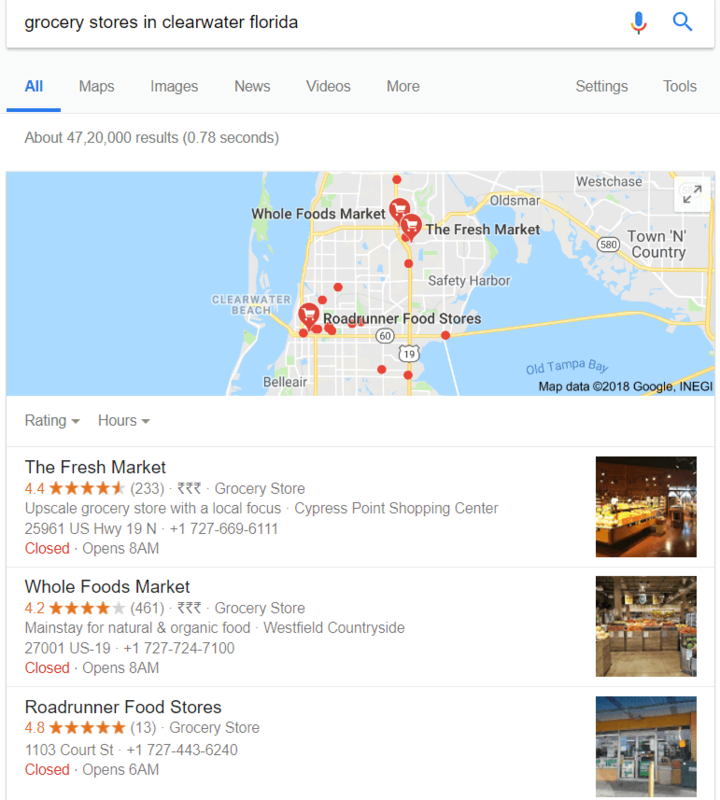 If you’re working with enterprise businesses with a huge number of locations, you’ll no doubt understand the importance of localized content to ensure your site shows up in local searches. But faced with creating and managing content for hundred or even thousands of locations, how do you scale local content? Here, Shane Barker explains the processes and systems you need to put in place in order to make your localized content strategy far easier to manage. Local content is the key to success for enterprise brands because it allows them to target their audiences more effectively and leads to better customer engagement. According to Robert Blatt of MomentFeed, 85%-95% of customer engagement happens at a local level, through local listings and pages. Due to the growing importance of localized content, many enterprise brands have now started focusing on localizing their content and marketing strategies. According to a Location-Based Marketing Association (LBMA) report, 25% of marketing budgets are spent on localized marketing., and 50% of brands target customers based on their location. The first step is to have a well-defined plan for local content creation. 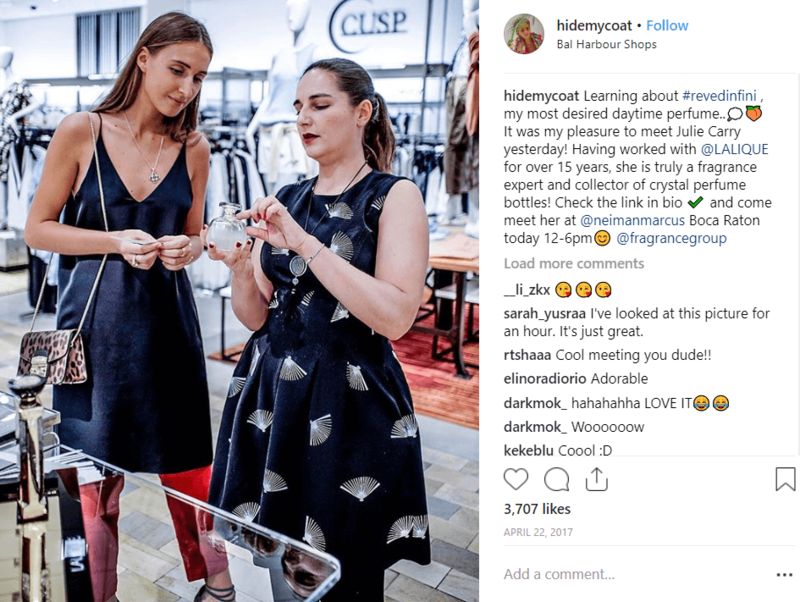 You can work with local influencers, in-house content teams, and existing customers (brand advocates) to generate local content. Interview local bloggers and influencers and post the content on your local website or social media pages. Leverage influencers to create sponsored content and build quality backlinks to your site that can help in SEO. For example, mattress brand, Leesa collaborates with local home and lifestyle influencers and asks them to write unbiased reviews of their products on their own blogs. This can be especially beneficial for large enterprise businesses as they can create specialized content teams for multiple countries to create content that resonates with the local audience. You can choose to hire full-time employees or freelance talent depending on the needs of your business for a specific location. The added benefit of this approach is that these people will understand their local area (e.g. their customs and ways of speaking) in a way that a distant content writer won’t, leading to localization that goes far beyond Google Translate. You can use freelance websites like Upwork or Freelancer to find local talent. 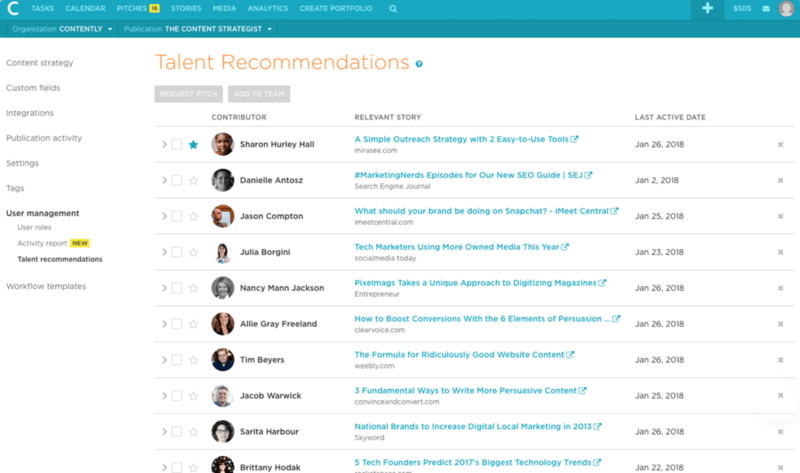 You can also leverage talent recommendations from a content management platform, such as Contently. Some enterprises, such as Airbnb, leverage their existing customers to generate authentic, local content for their brand. Airbnb connects travelers that have questions about their planned travels with local customers who can provide answers. The company’s neighborhood pages also leverage pictures taken by locals. 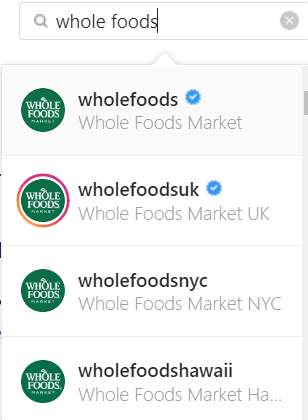 You could repurpose this User Generated Content (UGC), such as testimonials, reviews and photos, from each location to populate your local content pages, making them authentic, unique to that location and adding valuable social proof along the way. Make sure that you have a unique landing page for each of your brand’s locations or stores. This enables each page to be ranked in local search results, resulting in higher rankings for your local pages. You should also create country-specific websites and social media handles to post local content for your enterprise. 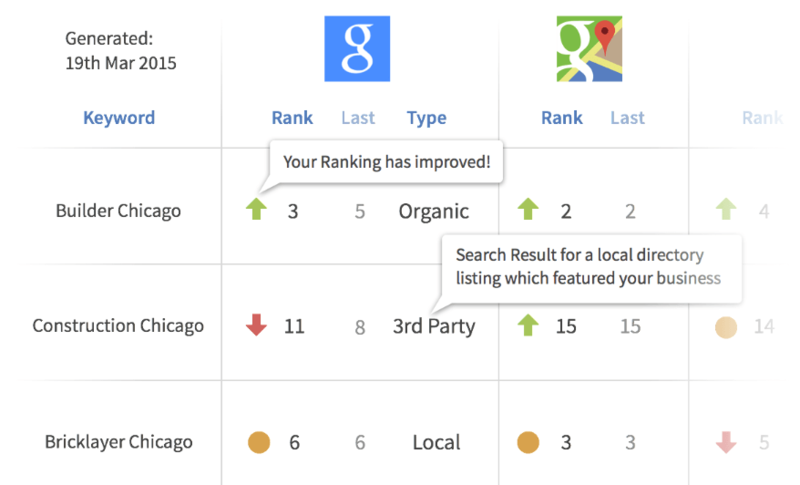 You can use local search rank checking tools to track your rankings and compare them against your competitors. Accordingly, you can modify your SEO strategy to get better rankings. Register your business on Google Maps and add accurate location and contact information. Ensure that all of your company’s stores are listed on Google Maps separately. Add your website links on your map listings. If there are regional websites, add links to those instead of the global website. 90% of SEO experts believe that accurate citations are crucial for optimizing local search rankings. So it’s important for enterprise businesses to find all relevant local data aggregators or directories and create accurate citations for their local businesses. 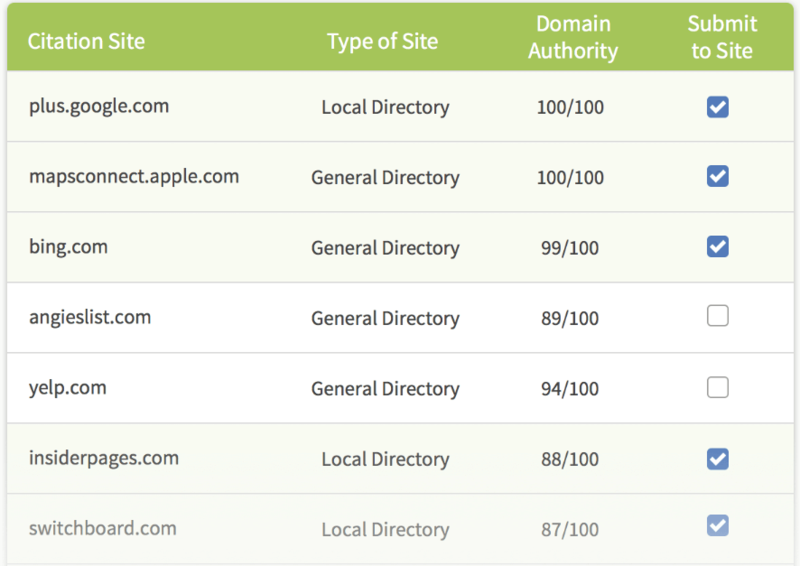 You can use a citation tracker tool to find local websites that you can list your business on. Ensure that you create accurate and consistent citations across all such websites. You can also use citation building tools to create and update local citations. 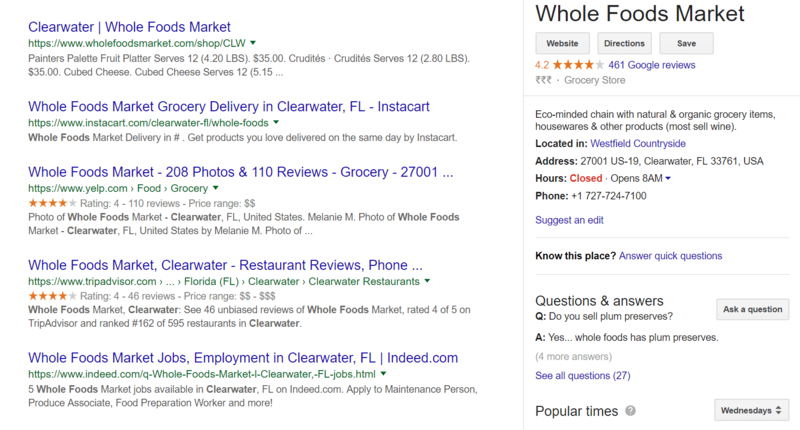 Continuing with the example of Whole Foods, below are the search results for “whole foods clearwater.” As you can see, the company has registered their individual stores on various directories, making it easier for customers to find their stores, read reviews, and check times of operation. Consider the search ranking factors for each type of local listing to optimize your listings for local searches. For large enterprises, it’s difficult to regularly track and update local listings, and so it’s more effective to use local SEO tools. These can help enterprise businesses to optimize their local content and also track its effectiveness. 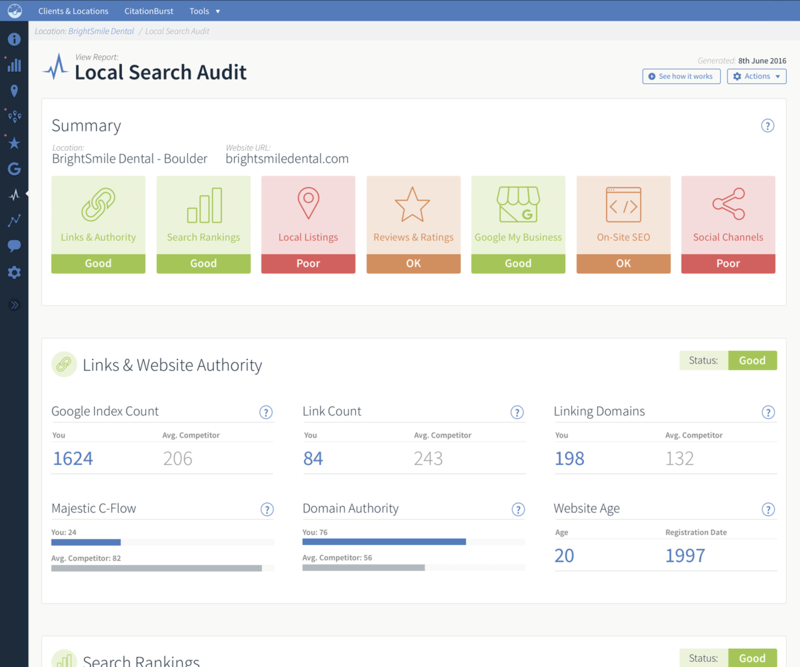 Below is an example of BrightLocal’s local search audit report that enables enterprises to analyze their local SEO performance in an easy-to-use dashboard. The key challenge for enterprises focusing on local content is to ensure content accuracy and consistency across locations. A centralized team that reviews all content and sets guidelines to ensure consistency of the information shared across various locations is a necessity for large enterprises. However, for a big firm with thousands of locations, this technique can be tedious, so it is better to utilize content management software. According to Walgreens’ Kyle Eggleston, Walgreens allows their store and district managers to upload local content on websites for approval. The company delegates the content creation and publishing aspect to the local teams but retains the centralized content approval system to maintain content accuracy and consistency. The key to a successful, scalable local content strategy for an enterprise business is to have a well-defined process and reliable Content Management System. Once you have a clear process, you can then use a mix of various types of content, channels, and optimization techniques to secure the top rankings in local searches. If you have any other ideas for a scalable local content strategy for an enterprise business, please share them in the comments below.